Belly of the Pig: Combat Food Insecurity during the Holidays! Combat Food Insecurity during the Holidays! Food insecurity is real. It's especially real during the holidays. One in 8 Americans struggle with hunger. And did you know $1 donated provides at least 10 meals for families, children, and seniors who need it most? 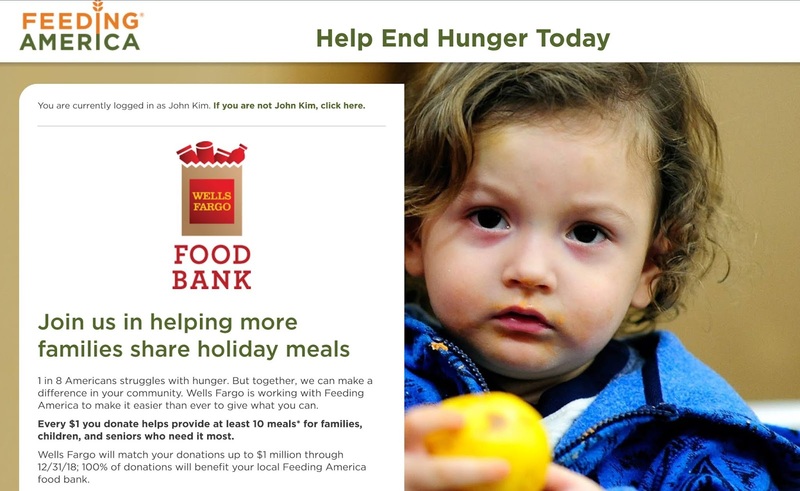 Help end hunger today and join Feeding America & Wells Fargo in supporting this cause. In fact, Wells Fargo has already donated $4M to Feeding America, which supports your local food banks. Philly - Philabundance does the good works in our local area. And to that end, Wells Fargo will donate an additional $1M by matching any donations you personally make 1:1 ... 100%. Head to this link to make your charitable donation today, and help end hunger. Cheers & Happy Holidays to you and yours!